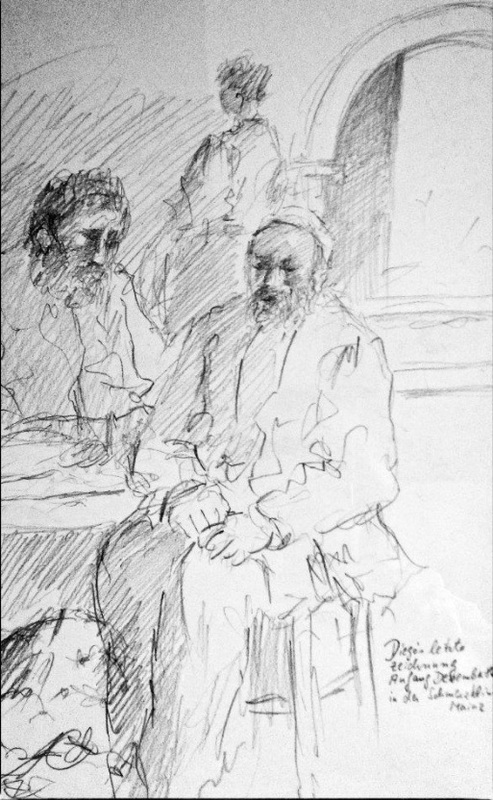 Having not forgotten the exquisite portrait, for Frank it was “the inspiration for asking Diego to do my boys – over his protestations!” Just months before Frank and his family were due to return to the United States he commissioned Diego do portraits of his sons, John and Mitch, then 9 and 5 ½. A few days before leaving Germany Frank recalls to his surprise, “I got a call from Siegfried DAHMS, owner of the gallery, who informed me that DIEGO had instructed that I be given the portrait of “Principessa” in appreciation for our patronage.” Frank owns it. 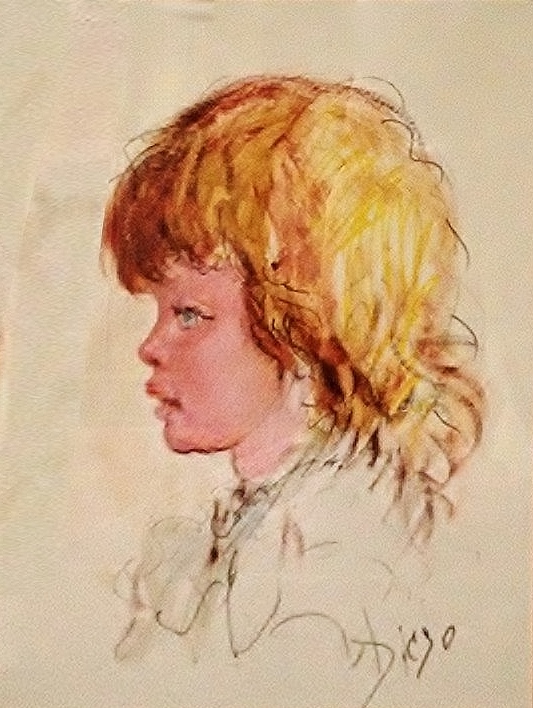 “Principessa” Unknown Subject, “Who am I?” Diego drew me in 1974. To this day, it is a mystery as to who the young girl may be. Frank hopes that someone out there may see this post! Do you know who she is? Search DIEGO VOCI on YouTube and Google! 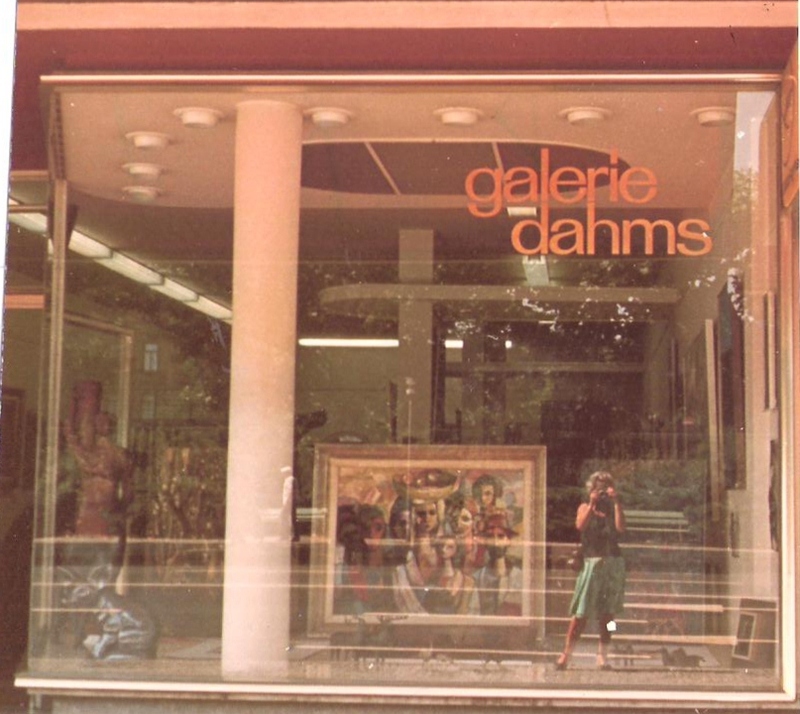 Helga Voci, widow of Diego Voci, found two (not very clear) images she took of the Galerie Dahms, about 1983, each with a DIEGO painting in the window. Look closely and you can see the reflection of Helga in the glass standing outside shooting the photo. 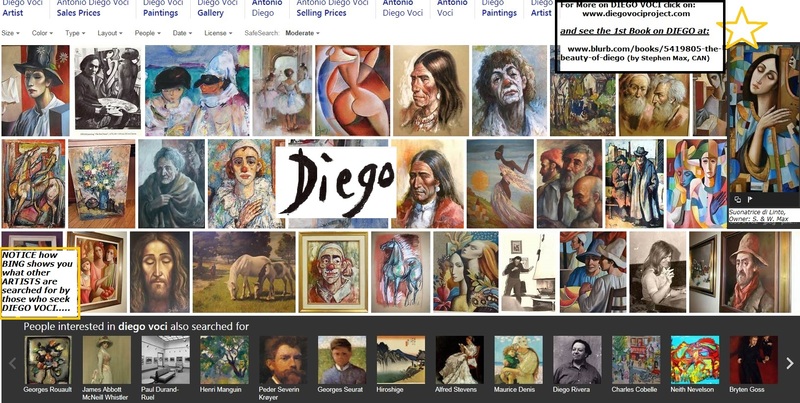 It indicates not only how big the DIEGO painting is to the left of Helga but also how high the Galerie ceiling is. 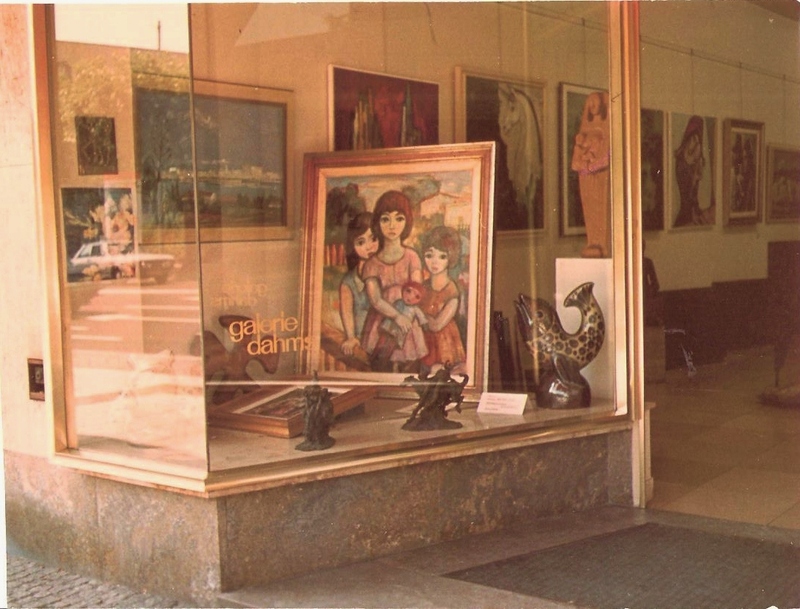 The Galerie was located on the classy #Wilhelmstrasse of Wiesbaden. The DIEGO / Dahms relationship based on a handshake, lasted nearly 2 decades. 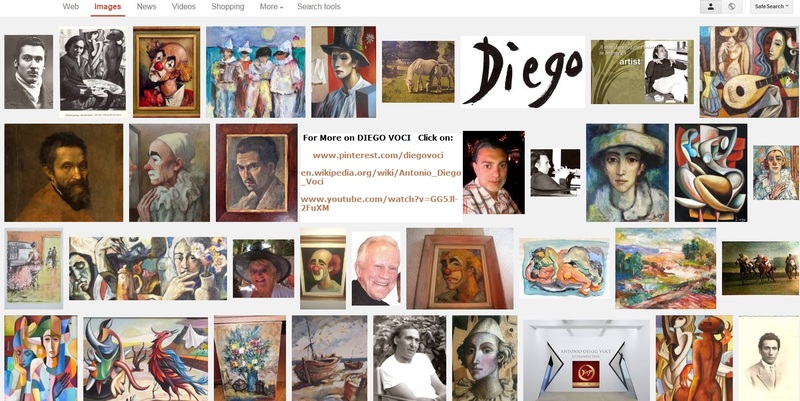 Diego Voci on Google and YouTube. Better yet, if you’re traveling in central Europe, HELGA #VOCI is in the Wiesbaden/Mainz Germany area and has a variety of DIEGOs to sell. Please feel free to contact HELGA VOCI via Email at: helga.voci@gmx.de or Phone her at: 06128-72426 calling within Germany (US to Germany – 011-49-6128-72426). Call her for a visit, or to view DIEGOs. 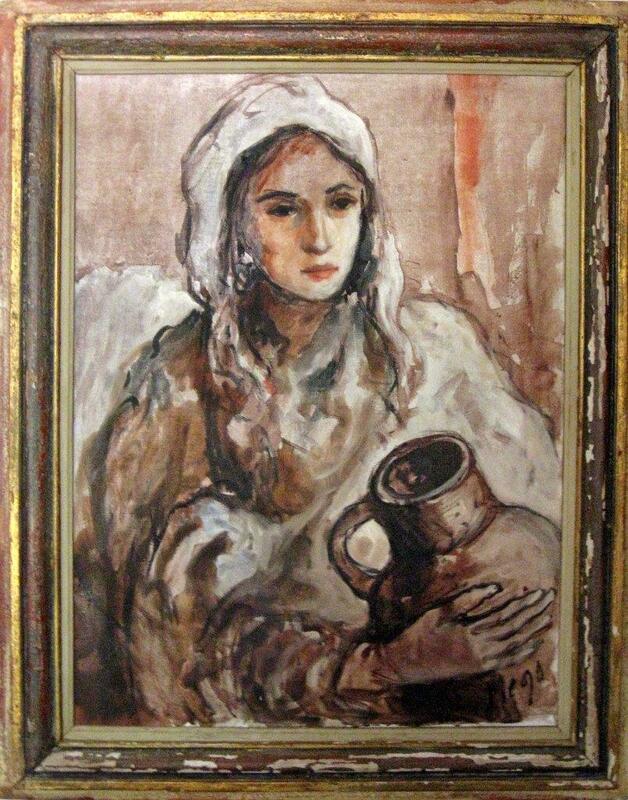 Online, you can view her DIEGO VOCI ESTATE at www.diegovociproject.com under “Acquire” – Graphics or Originals.Order before you go. And, enjoy stories about DIEGO! 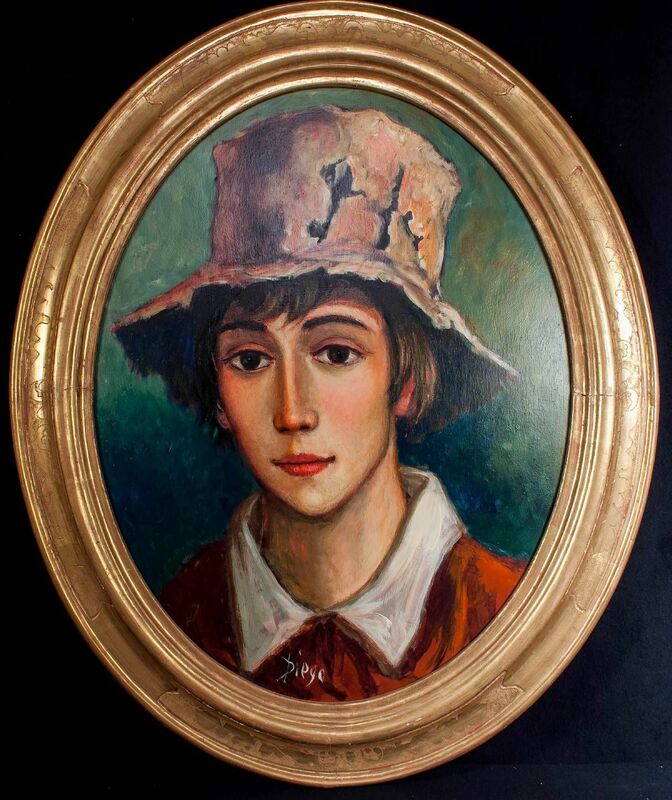 In the USA, you’ll see “YOUNG BOY WITH HAT” oil on wood, in oval frame. NOW, only $400 here in the USA on e-bay. In October 1973, Dr. Ogden (Ted) Brown had DIEGO as their guest, sponsoring a stellar one-man exhibition for him at the #Broadmoor Resort, #Boulder, #Colorado. 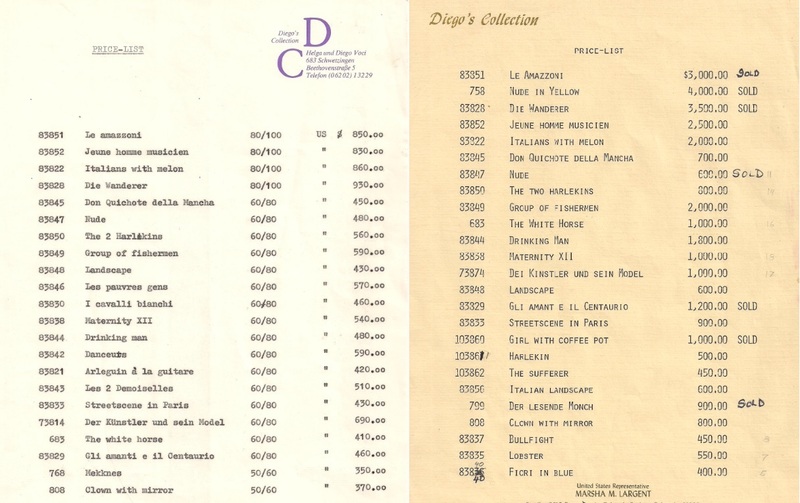 The first (Top Left) appears to be the prices that Diego expected from the sale of each work – prepared by Helga Voci. The second (Top Right) appears to be the retail asking price at the #Broadmoor show. 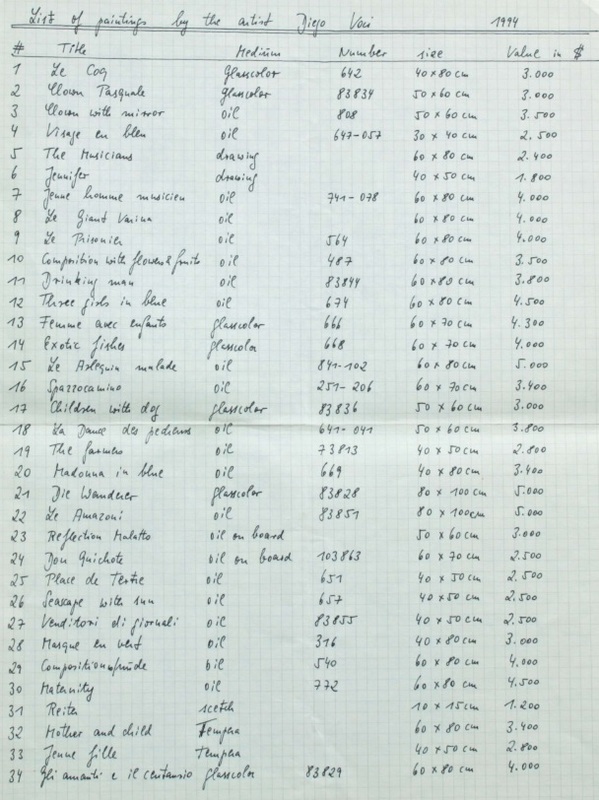 21 years later, the third (list) compiled in 1994 appears to be appraisals in Helga Voci’s hand, perhaps for determining insurance values. A craze that moved the world. New York Times said it wasn’t art. The public thought better. 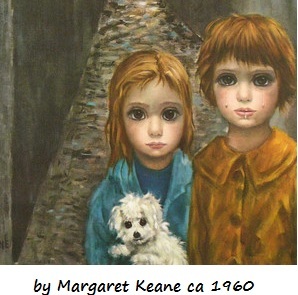 Indirectly Margaret #Keane had an influence on #Diego. Demand by the public for Diego to please paint something similar to Keane’s girls with #BigEyes at first fell on deaf ears. For a long time Diego resisted. He prided himself in his refusal to ever copy. 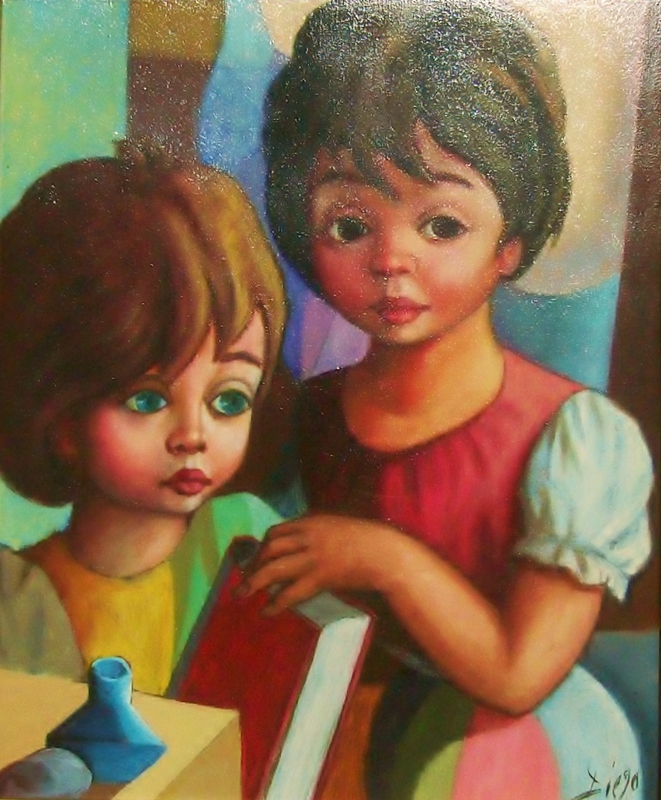 Finally, Diego would not admit it; but, he did a few paintings of young girls without sacrificing his own style. 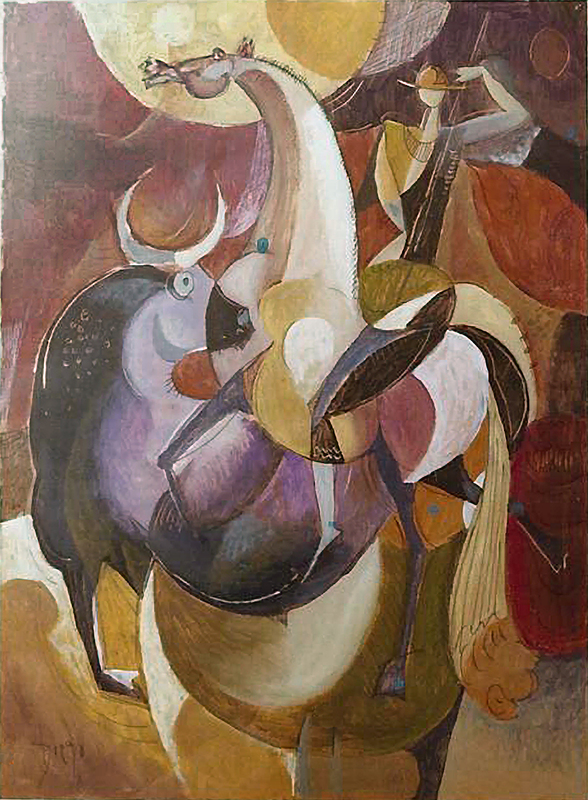 The Diego #Collectors loved them. Here is one owned by Paul Mehler. #Twitter Celebrates @DiegoVoci 3 YEARS! 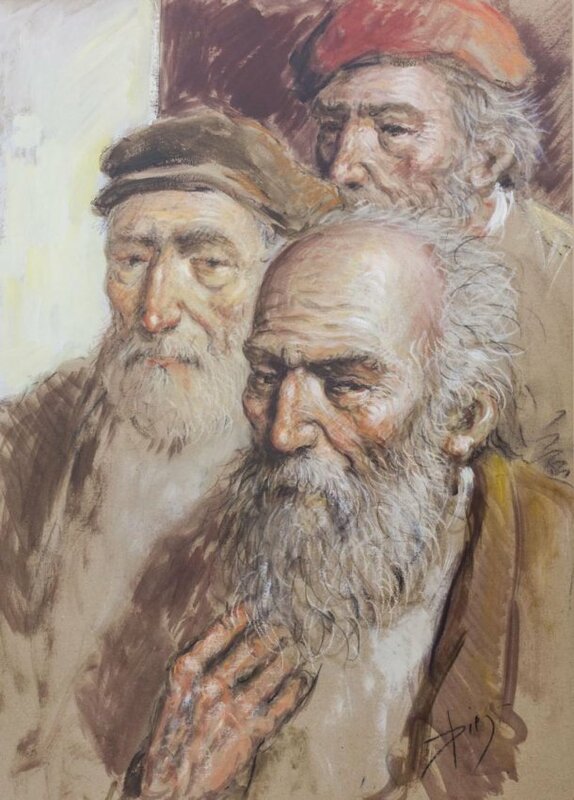 Thank you all you #Tweeters around the world who’ve helped us enhance the awareness of Antonio #Diego Voci. The #IMAGES do not end here, #SCROLL away…and as you’ll have noticed…many links to peruse. 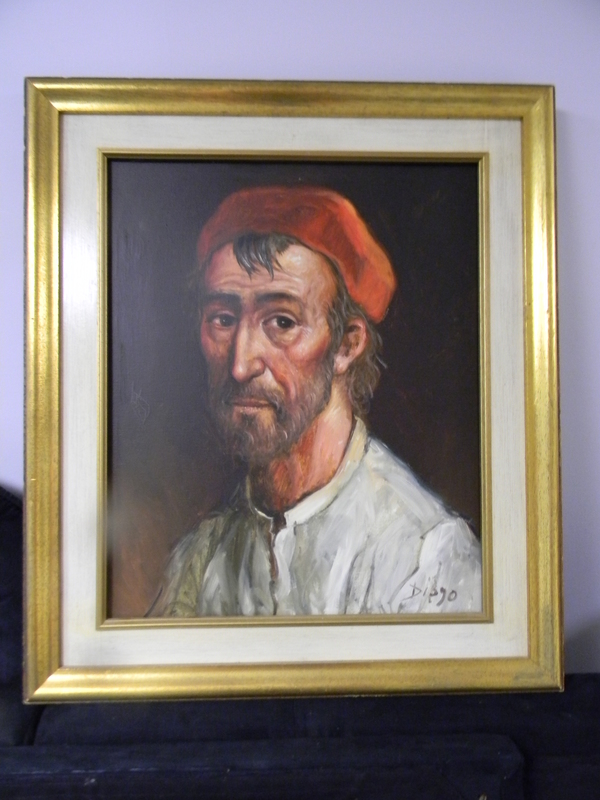 An even older one: http://www.artifactcollectors.com/diego-voci-antonio-diego-voci-3984818.html (Find “Painting of the Week” and “History” there, too.